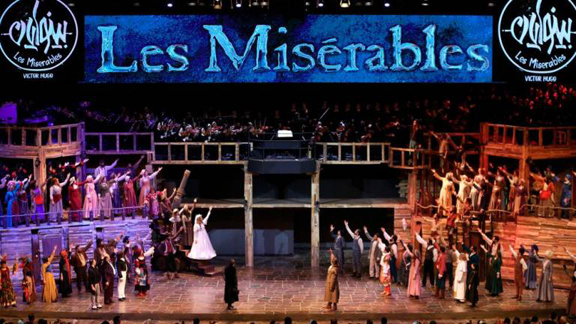 Iranian theater director Hossein Parsaee calls Victor Hugo’s classic a “masterpiece without borders” but his groundbreaking production of Les Miserables that has hit the stage in Tehran has a few unique twists. There is, for instance, always at least one other voice accompanying an actress when she sings—since female solos are taboo—although spotting the second voice can be tricky. “It was so much more than I expected,” gushed Maryam Taheri, a 45-year-old housewife, after the show. Foreign-made TV, film and cartoon versions of Les Miserables—a French 19th-century epic on sociopolitical tumult, crime and punishment—have been frequently shown in Iran, where the book has also been translated. “This is good, it shows whenever their society stagnates, something like this happens to move it forward,” he said.